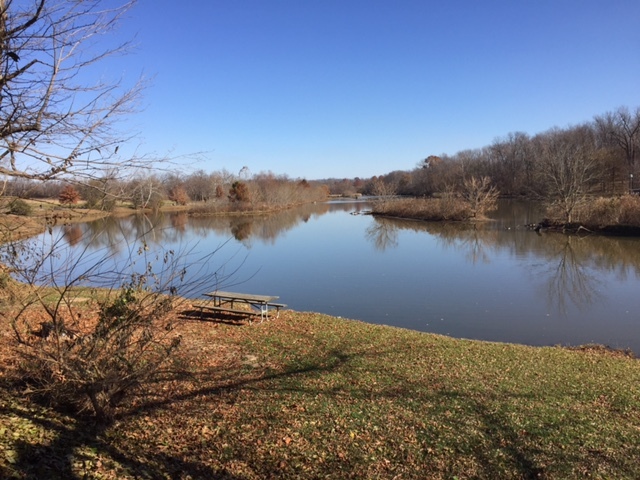 An announcement was made in January that the Shelby County Parks Foundation needed $100,000 to match a Recreational Trails Program matching grant. The grant to be used for Phase 3 of the Greenway Trail. The community responded – $71,315 has been donated by individuals and businesses! The Foundation needs to raise the remaining $30,000 so that bids can be issued for the project and break ground in May or June. NOTE- Tax-deductible donations can be sent to Greenway Trail, c/o Parks Foundation, 717 Burks Branch Road, Shelbyville KY 40065. Shelby County Parks Foundation has received its third $100,000 Recreational Trails Program matching grant to continue the Greenway Trail project. Cash donations are now being sought to match the grant, which will fund Phase 3 of the trail that provides accessible paths along Clear Creek. The Recreational Trails Program is funded by the U.S. Department of Transportation’s Federal Highway Administration. Parks Foundation volunteers are now seeking tax-deductible donations to match the $100,000 grant. Checks can be sent to Shelby County Parks Foundation, 715 Burks Branch Rd, Shelbyville KY 40065, noting donation to Greenway Trail. Note- Please see Greenway Trail link for details. The Greenway Trail started with Phase I off North Seventh Street, across from the Serenity Center, traveling to the bridge at East Main. Now the trail, that did end at the bridge/Stratton Park loops back to Main Street underneath the East Washington bridge. The expansion was paid for by City of Shelbyville through the restaurant tax proceeds. Foundation consultant Clay Cottongim acknowledges all those who have donated toward both phases, especially Barry Campbell for clearing both trails for blacktopping. Now planning begins for Phase III, with the ultimate goal having the Greenway Trail follow Clear Creek to Red Orchard Park on Kentucky Street. Individuals wanting to help the Foundation can contact Cottongim at 502-321-0612 or send donations to Greenway Trail, c/o Parks Foundation, 717 Burks Branch Road, Shelbyville KY 40065. Greenway Trail Phase II is now open to the public… hikers, bikers, walkers, runners, baby strollers, wheelchairs! The blacktopped trail along Clear Creek was funded by a $100,000 Federal Recreational Trails Grant and $100,000 in private donations to match the grant. The recent third annual Parks Pedal Party lured 31 adult riders for either a 40-mile or 21-mile ride along county roads while another 11 rode bicycles within Clear Creek Park and neighborhood paths. Their donations totaled $2,000 to assist the continued Greenway Trail project through the Shelby County Parks Foundation. Foundation consultant Clay Cottongim acknowledges all those who have donated toward both Phase I and II, especially Barry Campbell for clearing both trails for blacktopping. Now planning begins for Phase III, with the ultimate goal having the Greenway Trail follow Clear Creek to Red Orchard Park on Kentucky Street. Proceeds from the 2018 Boots & Bridles Equestrian Gala benefit Shelby Trails. Deeded to the parks system in 2010 by Dr. Roger & Diane Shott of Anchorage, a 462-acre piece of land at 5063 Aiken Road in Simpsonville – a magnet for those wanting to hike, ride horses, and even receive riding lessons. The property features 21 dedicated, groomed, hiking and horseback riding trials; a beautiful 32-stall barn; and an indoor and outdoor arena for year-round riding. Check out these photos by Ann Kalmey! Thanks to Hoppy Bennett for donating the use of Undulata Farm; Food catered by 4 Moores; Marilyn Fister with Bobby Ethington; James Mulcahy; Vicki Moore; Shawn Willard. Merry Christmas from the Parks Foundation. Thanks to your continued support, we have been able to upgrade and maintain the many recreational projects that benefit our community. A great gift idea would be to make a donation in honor of a friend for the Greenway Trail, Shelby Trails, Red Orchard Park or the Foundation in general… Please send your tax-deductible gift to Parks Foundation, 717 Burks Branch Road, Shelbyville KY 40065. Thank you!